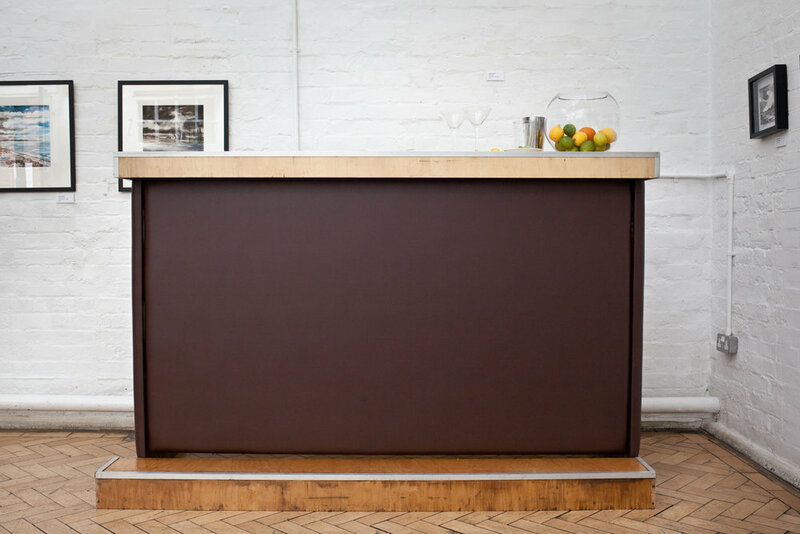 This bespoke made bar has a lovely light oak wood counter, stainless steel trim with leather side panels. It creates a more traditional relaxed, rustic feel and is ideal for parties, balls, festivals and weddings. It comes in either 1.8m or 3.2m lengths depending on your number of guests.